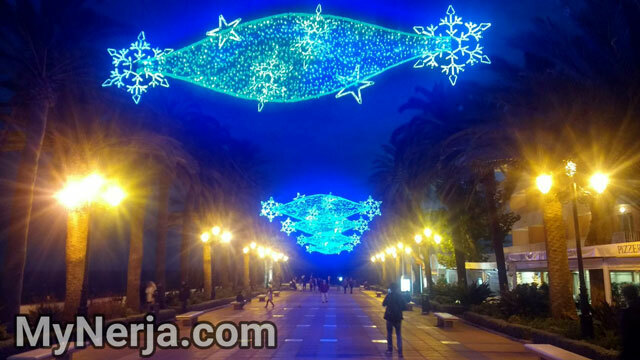 Nerja’s Christmas lights were switched on this year on December the 6th, with displays on the Balcon de Europa, the town hall building, Plaza Cavana, Calle Pintada and on different roundabouts on the approaches to town. The lights will stay on until Three Kings Day on January the 6th, after which the Christmas season is officially over. For more information on Christmas in Nerja have a look at our Guide To Christmas In Nerja.